Sargassum vulgare C.Agardh, nom. illeg. a. rama; b. filoide; c. vesícula; d. cauloide; e. receptáculo. Esquema: Lourdes Moreira..
Pianosa Island, Tuscan Archipelago, Italy; -4 m depth. David Balata (david.balata@ucd.ie). © David Balata (david.balata@ucd.ie). 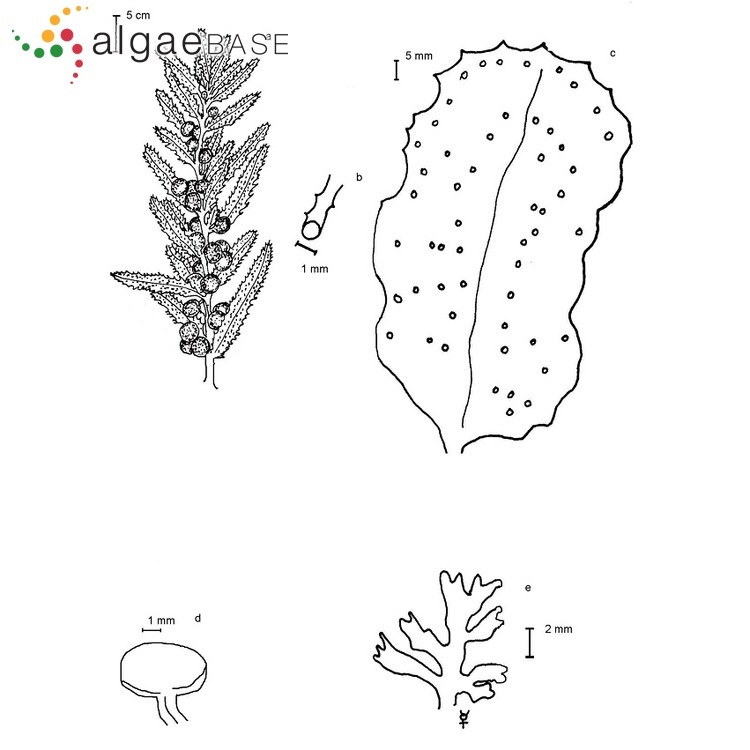 Sargassum vulgare C.Agardh a. rama; b. filoide; c. vesícula; d. cauloide; e. receptáculo. Esquema: Lourdes Moreira. Sargassum vulgare C.Agardh 1820: 3, nom. illeg. See Silva, Basson & Moe (1996) regarding the complex nomenclatural history of this entity. Illegitimate: included Fucus salicifolius Lamouroux when described. A proposal for conservation was rejected. John et al. 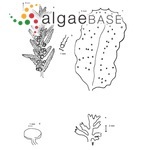 ( 2004) cite Sargassum albertisii Picc., S. boryanum Mont., S. endiviaefolium Bory,S. cheirifolium Kütz., S. dichocarpum Kütz., S. diversifolium Kunth. S. fissifolium Kütz., S. lendigerum (L.) C. Agardh, S. obtusatum Bory, S. salicifolium f. diversifolia (Bory) Grunow and S. tenue var. gabonensis Grunow as synonyms of this species. Reported from drift plants collected in the Orkney Islands (Greville, 1830: 2). John et al. (2003) do not distinguish between Sargassum vulgare and var. foliosissimum when presenting distributions and it is assumed that they are the same as in Lawson & John (1987). Syntype localities: "Ad litora Oceani Atlantici; ex India Occidentali". (Agardh 1820: 5). Børgesen, F. (1914). The species of Sargassum found along the coasts of the Danish West Indies with remarks upon the floating forms of the Sargasso Sea. In: Mindeskrift i Anledning af Hundredaaret for Japetus Steenstrups Fødsel. (Jungersen, H.F.E. & Warming, E. Eds) Vol. Art. XXXII, pp. 1-20. København: Bianco Lunos Bogtrykkeri. Ramon, E. & Gil-ad, N.L. (2007). Proposal to conserve the name Sargassum vulgare (Phaeophyceae: Sargassaceae,) with a conserved type. Taxon 56: 955-957. Thibaut, T., Blanfuné, A., Boudouresque, C.-F. & Verlaque, M. (2015). Decline and local extinction of Fucales in the French Riviera: the harbinger of future extinctions?. Mediterranean Marine Science 16(1): 206-224. Accesses: This record has been accessed by users 14246 times since it was created. Araujo Coelho, S.L., Resende, S.V. & Castro Nunes, J.M. de (2017). Utilização de Sargassum vulgare C. Agardh na adubação de Helianthus annus L. (girassol). Acta Botanica Malacitana 42(2): 187-192. Falcão, C. & Menezes de Széchy, M.T. (2005). 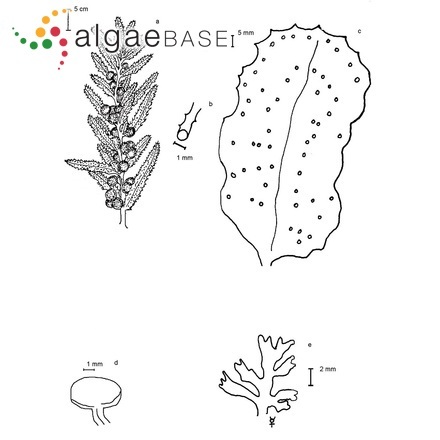 Changes in shallow phytobenthic assemblages in southeastern Brazil, following the replacement of Sargassum vulgare (Phaeophyta) by Caulerpa scalpelliformis (Chlorophyta). Botanica Marina 48: 208-217. Halket, J.Mc., Lisboa, B.P. & Pinheiro-Joventino, F. (1976). The major sterols of Sargassum vulgare C. Agardh investigated by mass chromatography . Arq. Ciênc. Mar. 16(2): 117-122, fig. 1-5, tab. 1 (1977). Kaur, I. & Vijayaraghavan, M.R. (1992). Oogonial development, maturation and release in Sargassum vulgare C. Agardh and Sargassum johnstonii Setchell & Gardner. Aquatic Botany 42: 173-185, 5 figs. Kaur, I. & Vijayaraghavan, M.R. (1992). Physode distribution and genesis in Sargassum vulgare C. Agardh and Sargassum johnstoniii Setchell & Gardner. Aquatic Botany 42: 375-384, 4 figs. Kaur, I. & Vijayaraghavan, M.R. (1993). Histogenesis and conceptacle organization in Sargassum vulgare C. Agardh (Fucales, Phaeophyta). Japanese Journal of Phycology 41: 247-252, 15 figs. Kaur, I. & Vijayaraghavan, M.R. (1994). Histochemical studies on the mesochiton-stalk, egg and zygote of Sargassum vulgare C. Agardh (Fucales, Phaeophyta). Japanese Journal of Phycology 42: 431-436, 12 figs. Kaur, I. (1999). Apical meristem of Sargassum vulgare C. Agardh (Phaeophyta, Fucales). Algae 14(1): 37-42, 3 figs. Nassar, C.A.G., Lavrado, H.P. & Yoneshigue-Valentin, Y. (2002). 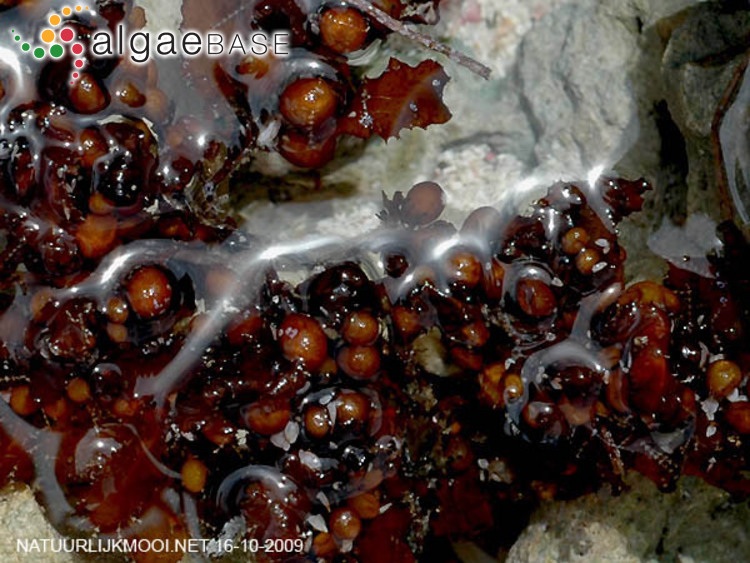 Effects of iron-ore particles on propagule release, growth and photosynthetic performance of Sargassum vulgare C. Agardh (Phaeophyta, Fucales). Revista Brasileira de Botânica 25: 459-468. Rull Lluch, J., Gómez Garreta, A., Barceló, M.C. & Ribera, M.A. (1994). Mapas de distribución de algas marinas de la Península Ibérica e Islas Baleares. VII. 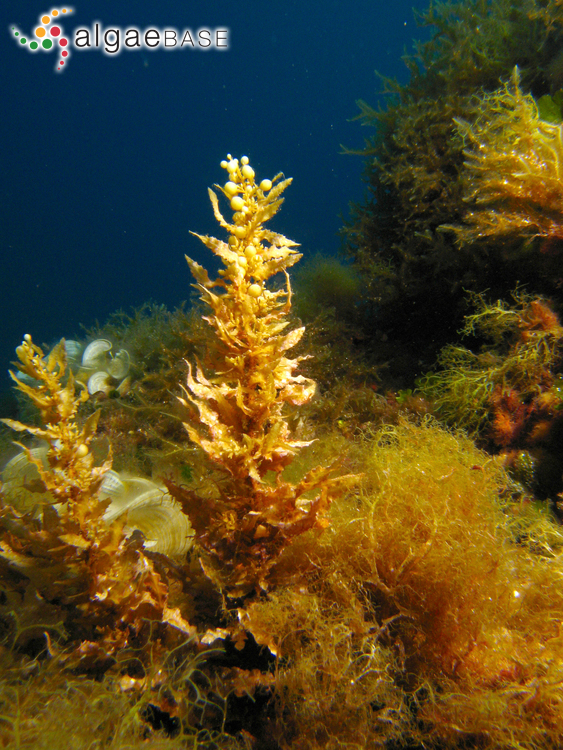 Cystoseira C. Agardh (Grupo C. baccata) y Sargassum C. Agardh (S. muticum y S. vulgare). Botanica Complutensis 19: 131-138.